Gmail does not recognize dots inside your email address. Similarly, plus signs are also ignored in gmail addresses. You can use this to your advantage to assist you with organizing your emails in Gmail. When signing up for various websites, online stores, blogs, etc you can use the addition of the plus sign and a some term to indicate what you are signing up for. 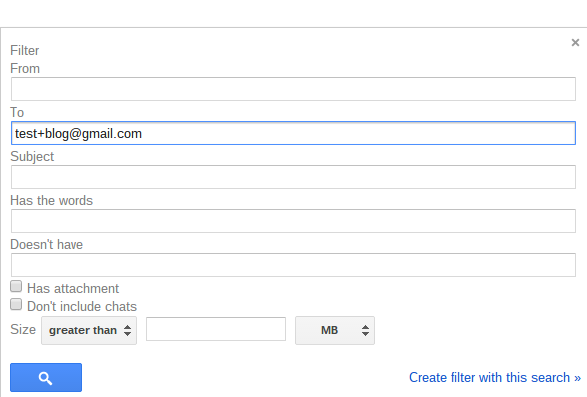 Then you can create a filter in Gmail to automagically assign a specific label to the email for simplified organization. 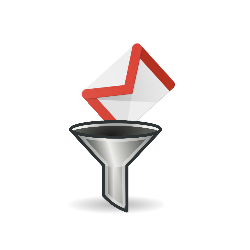 Let's use test@gmail.com as an example. Below are some types of website and the corresponding email address you could use to signup. Note these are just examples and you should use any combination that will work best for your needs. You get the point, this list can go on and on. All of these emails will be delivered to the test@gmail.com account, but will appear like the new address created above. There is nothing you need to do in Gmail to get this to work. Once you have used this strategy, go back into Gmail Settings (under the Gear Icon on the top right), select filters, and set up a filter to look for these emails and automagically label them accordingly. 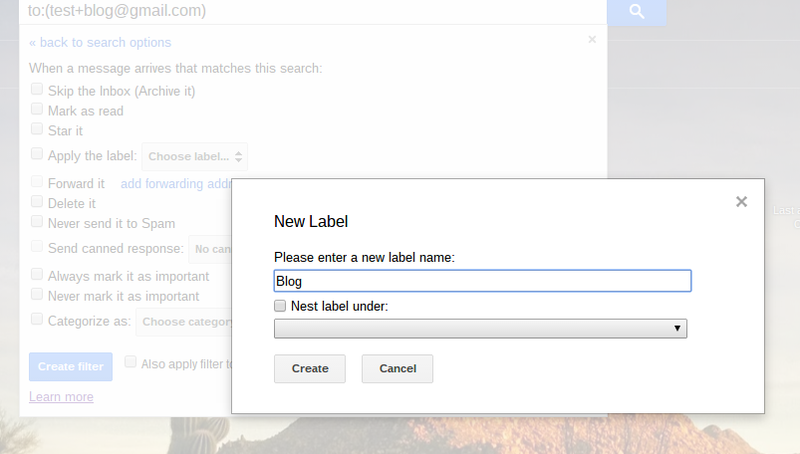 That is all that needs to be done to quickly and easily organize all of your email subscriptions in Gmail. Let me know how you use this system to help organize your emails. FYI... I believe any text after the plus sign is ignored by all mail systems a part of the various email RFCs, not just gmail. I've used that to try to track where my email addresses are being shared in the past. However some web designers either don't know that the plus sign is a valid email address character or they choose to block it in email fields. Can you do the same with a dot and get the same ability to filter messages or does it need the + in order to filter? and what about messages that I recieve as BCC recipient? Can Gmail identify my specific email address?